One wheel brake failure plus a strong crosswind appears to be suspected... bummer to see this ship beat up like this, but very glad the pilot Frank Parker is perfectly ok. I echo your sentiments exactly Imritger. Hate to see the bent metal but if the pilot is O.K. then that's what truly matters. "Focke Wulfs have a tail dragger instead of a wheel at the back of the plane which made it difficult to control in strong winds, Wilson said." I don't mean to be persnickety, but isn't that a wheel hanging at the back of that airplane in their picture? "Anyway, the throat feels a bit rough...the legs have gone...but I'm still able to chant, so let's get going." The "Flugwerk Faktor" strikes again. I'm beginning to grasp why the Germans called it the Butcher Bird, as it sure seems to butcher the pilot's best attempts at a decent landing. Dan, correlation does not always equal causation, and I wouldn't say this kind of incident would be limited to the FlugWerk aircraft. 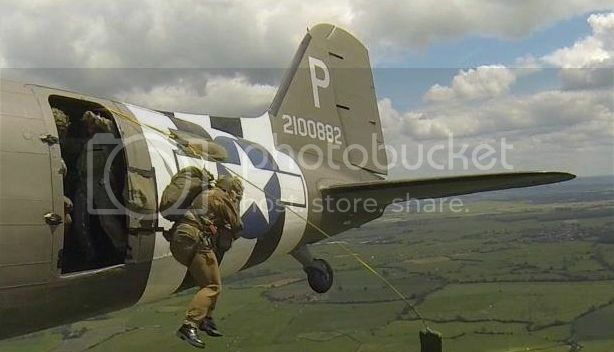 The Collings P-40B got stuffed up pretty good last year thanks to a ground loop as well, and I seem to recall one or two P-51s running into the same issue. It just draws more attention because of the relative rarity of the type, I think. Rarity of type has nothing to do with my perception; the number of incidents per operational hour of each type does. Lynn, would you not agree with me that the wide track of the Butcher Bird's landing gear negates comparison with an early P-40 (Spitfire/Buchon/FM-2, etc)? Based on the comparatively-wide dimensions of the landing gear, groundlooping should be a comparatively-rare occurence for the Butcher Bird (Wasn't this the common observation of Jaegerfliegern during WWII?). About half of the operational examples of the type have now suffered a similar incident. Something in the gear's structure/design must be suspect. Using your FW-190 vs. P-51 premise, the P-51 community would be suffering more like 20-30 groundloops per year...perhaps more (that is--admittedly--a VERY ROUGH estimate concerning operational hours per type). Let's see: rudder size/authority, fuselage side area, gear spacing, tire type/pressure, maintenance practices, power setting/torque/p-factor, aileron adverse yaw, CG, pilot technique, pavement type & friction coeficient, original landing type/speed/bounce, etc, and I'm sure the experts could add 20 more factors that could either contribute to or help prevent a ground loop. Darn shame to see - I'm sure the pilot was doing the best he/she knew how. Just glad no one was injured. Damage is apparently not as bad as it looked and the boys at JEM aviation should have it back to full health by the 2017 air show depending on funding. Frank will be back in action today behind the wheel of his P-40. Last edited by DaveM2 on Sat Apr 04, 2015 3:52 am, edited 1 time in total. 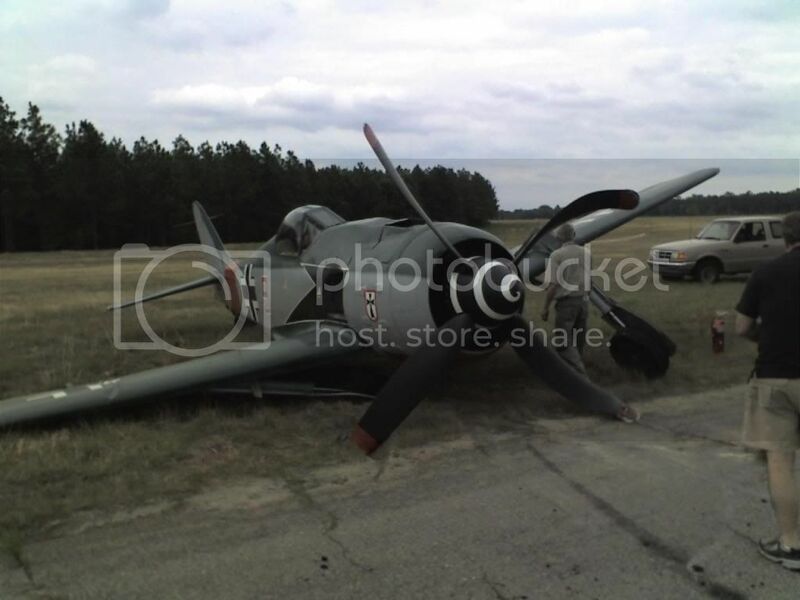 Sorry to see this, but I'm sure the JEM team will have it back in the air soon, at least Frank Parker walked away! The 190 also has a tailwheel lock, (engaged when the stick is fully aft). Niether the Germans or the Allies called the 190 'Butcher Bird,' it is a post war 'coinage'. “Shrikes are known for their habit of catching insects and small vertebrates and impaling their bodies on thorns. This helps them to tear the flesh into smaller, more conveniently sized fragments, and serves as a cache so that the shrike can return to the uneaten portions at a later time. We assist private collectors and museums to enhance their collections in the pursuit of the conservation and preservation of military history. There was no 'AKA..ing' back during the war, so the term "Butcher Bird" was probably not thrown around back then. And if you think I know what I'm talking about I've got a great deal on a good horse to sell ya. Kurt Tank calls the FW190 “wurger” – the English translation is shrike, which is also known as a butcher bird. A bit like referring to a Japanese A6M Type 0 Carrier Fighter. A bit like referring to a Japanese A6M Type 0 Carrier Fighter. You missed a couple on your list, as my dad and his VF mates chased one or two way back when and had a few other choice referrals of their own, but best I refrain from posting them here. His mind was always in the sky. And Johnny learned how to fly. Johnny Got a zero. He got another Zero. Johnny Got a Zero. Hooray.